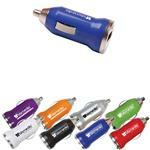 A quality car charger with your custom logo. 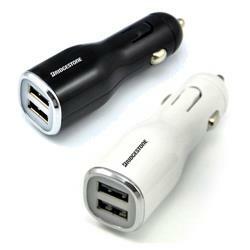 Dual USB Port car charger works with iPads, iPhones, all smartphones & tablets, charges 2 devices at one time. Comes in white or black. Typical Imprint Area(s): H 3/8 x W 3/4"
Dual USB Port car charger works with iPads, iPhones, all smartphones & tablets, charges 2 devices at one time.